First month for free – Cineville! 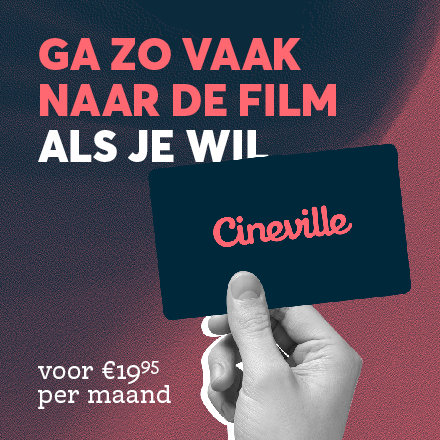 With a Cineville card, you will receive free entry to every movie in a Cineville-theatre. This will only cost you €19,95 a month! Through AKT, you can get a Cineville card for at least four month and you will receive the first month for free! Located at the Voorstraat, the friendliest bicycle repairer of Utrecht. At Celil Citybike you can receive a 10% discount with your AKT-card on all bike accessories and on a new bike, and 15% on reparation costs. The bicycle repairers of Celil Citybike can repair anything for you and you will never have to wait long! They will fix your tire during a lecture, repair your brakes or make sure your lights work again. CJP is a platform for lovers of culture. CJP loves culture in every way and aspires to inspire others to do so too. That’s why our people at CJP make a selection of interesting cultural events for you and write about it in their magazines, newsletters and on their website. They also organise cultural events themselves and work together with cultural companies. CJP has a special deal for AKT-members, which means that you can get your CJP-card for €15,- instead of €17,50. Click 'Read More' to get your CJP-card! Do you want to be able to go to all theatre performances and concerts that the Stadsschouwburg Utrecht offers for €10, for half a year long? With it’s diverse and modern variety of shows, the schouwburg wants to attract a diverse group of visitors. We think it’s important that the theatre makers of the future have the opportunity to visit a lot of theatre performances. That’s why Media and Culture students are welcome to visit the Stadsschouwburg and why we offer students the student card. As AKT-member €10 discount on KEES-workshops! Besides ice cream, Luciano’s also sells delicious coffee made from its own specialised coffee bean. 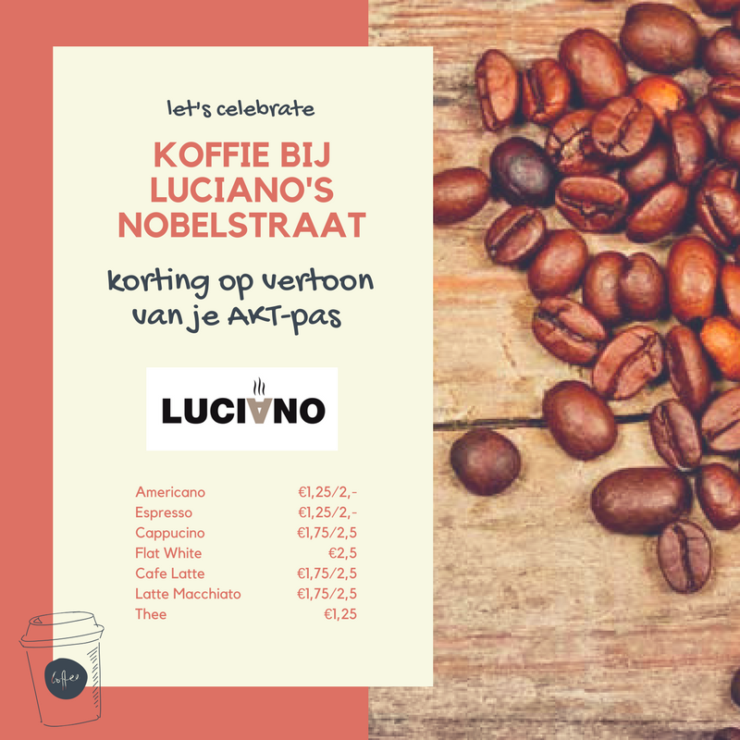 Perfectly located on the Nobelstraat, Luciano’s is always ready to help us. From college to the office of AKT and vice versa. By showing your AKT-pass you can enjoy delicious coffee and tea with a discount! Both to-go and in the shop while enjoying a ice cream. Fun, cool, tasty!